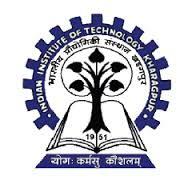 IIT Kharagpur Jobs Recruitment Notification 2018.Indian Institute of Technology Kharagpur inviting applications for the positions of senior project officer / project officer posts for IT on a project entitled “National Digital Library of India Club-School (NDC)” in centre for educational technology, IIT Kharagpur, West Bengal on Temporary basis.Interested and Eligible candidates can apply for the positions. Total number of vacancies to be followed by IIT Kharagpur is 10 posts. Applicants must be completed BE/ B.Tech/ MCA/ MSc with relevant experience from the recognized organization/ University. Selected candidates will get pay per Rs.35,000/-.